Ex Demo Honda CB1000R with 509 miles. Like New. Call in for Finance Quotations or a Test Ride. 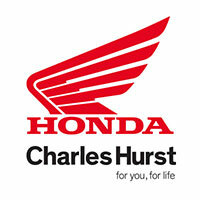 Charles Hurst Honda Motorcycles are Northern Irelands premier Honda motorcycle and scooter dealer.The company opened its doors for the first time in 2008. Not only do we stock the full Honda range… Read more.